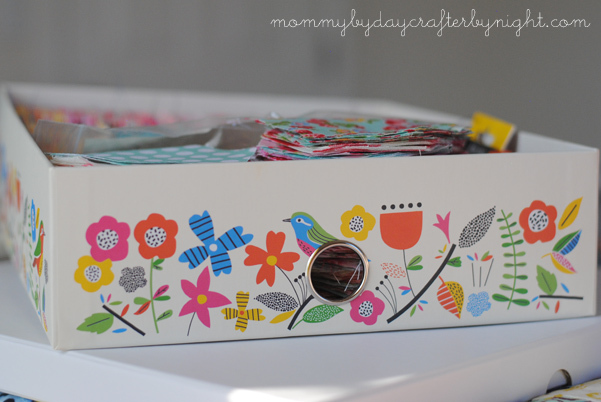 Mommy by day Crafter by night: Hexies.... A method to my madness! Hexies.... A method to my madness! 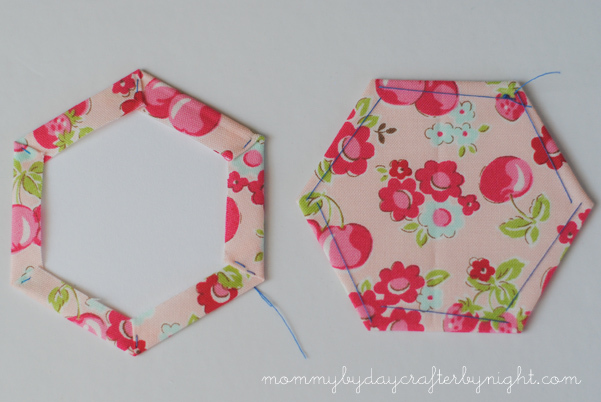 Hexies (or hexagons) are probably one of my favorite sewing projects to work on right now. I think they are fun to put together- but I mainly love making them because I do not have to be tied to my sewing machine and can work on them anywhere! 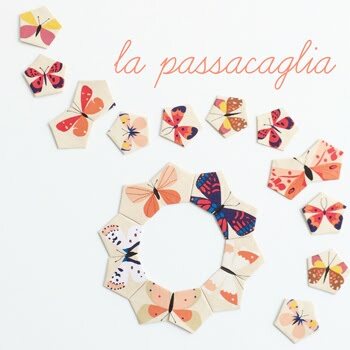 I first discovered them about 2 years ago when I came across one of my favorite blogs: nanaCompany. Aaaannddd... if you haven't been sucked into the hexie-ing world... you will soon be sucked in after checking out the darling little things that Amy makes with hexies. 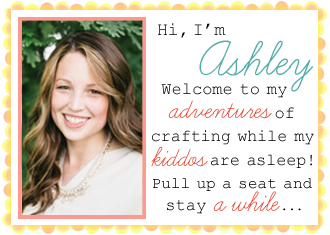 I stumbled across Tasha'sand Kerri's adorable blogs shortly after and they sealed the deal... I was set on learning how to do english paper piecing. It's pure madness- I know! I plan to use solid white hexagons around the patterned "flowers" to break up the colors and really set each flower apart. And... since it will all be completely hand pieced it just wouldn't seem right to quilt it with a machine- that would be preposterous! 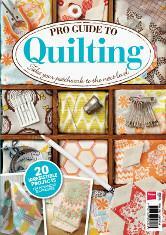 ;) I will probably be using pearl cottons when I hand quilt it. I started working on it last October. Since then I have taken my hexies on 2 road trips and just try to work on them here and there. 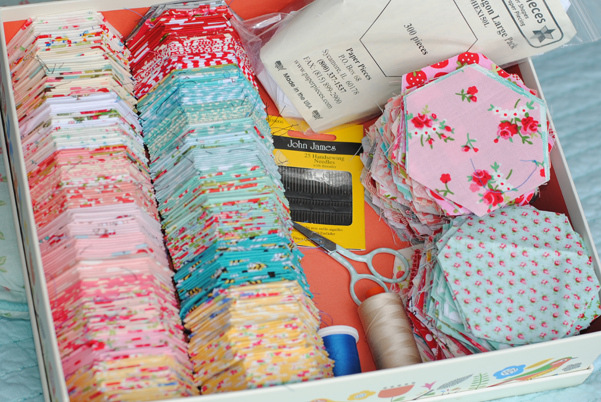 It is slow going, but I just love it and I am slowly building a stash of hexies to work with. For a while, my hexies were kinda scattered and didn't have a specific place to be gathered, but a couple months ago, I came across a letterbox at Target and knew it would be perfect for my hexies. So this is how I store them all now... It is handy when I am on the road too because everything I need can just sit right in my lap. John James needles: I really love this brand of needles for everything. 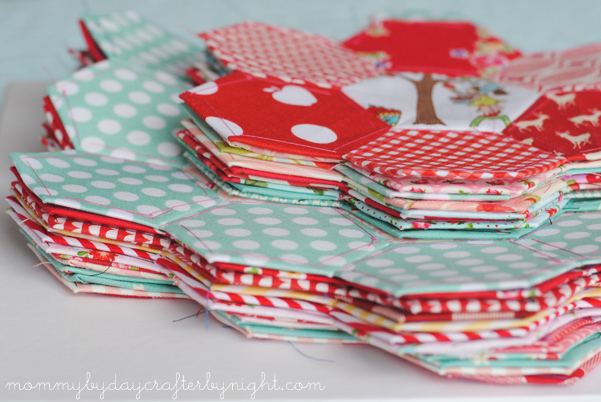 50 wt Aurifil thread: I love Aurifil thread and the 50 wt is the perfect weight for piecing my hexies together. I am using tan for piecing the colored fabric and will probably switch to white when I work on the white hexies. I picked up this paper clip trick from Lori and it has saved my life! The trick for me is not to push the paper clip all the way down because the sharp ends of the paper clip really tugs at the fabric when you pull it off- which is why I like using a large paper clip- I can push it halfway down and it still really holds the fabric in place and then it slips off easy when it's time to remove it. 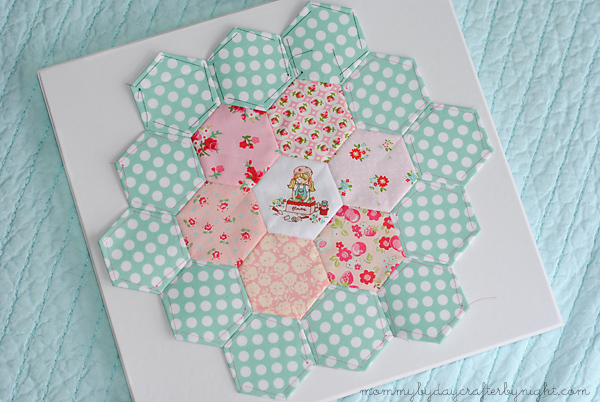 I LOVE your hexes and your method looks like a great way of making them!! I really want to try hexies now! What size acrylic template and what size paper pieces do you use? Is there one size that is better than another or is it just preference? 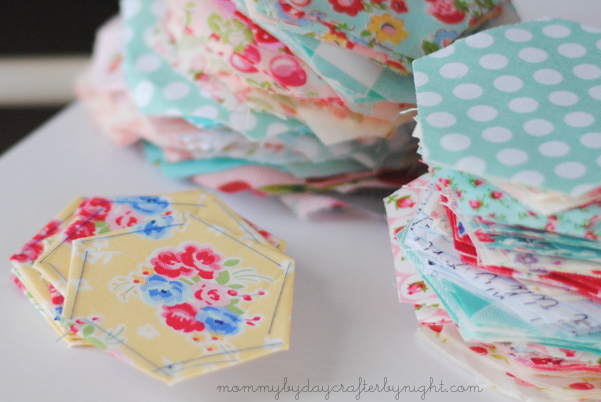 I learned on and am still making 1 inch size hexies so it is completely preference. I actually would like to go smaller but that would take so much more time to complete a quilt. As it is I need almost twice as many if I were to make a twin size quilt like Ashley's. That is one thing to consider when planning--bigger hexies will take less time to complete a project but may show more a color than you want whereas smaller hexies will take longer but uses a bigger variety of color. It is very personal. But I reverted to only making throws these days since I hate the quilting process so I guess I'm more of an artist than a quilter for I could design tops all day long. Happy hexie-ing! Loving these hexes!!! I am getting ready to go on vacation next week and hope to make some while on the plane and maybe while I'm lounging at the beach :) Love your fabric too!! I have been collecting 1930's fabric for months now and plan to turn them into a hexie quilt, but I wasn't sure where to start. Thank you for all the links for further info. I know it will all be super helpful. Such darling fabrics you've chosen. Hexies are the best thing since sliced bread ! Enjoy your work in progress. I love hexies too! They are so much fun :) Love your colors and it will be so cute to see them all sewn together. I adore hexies! 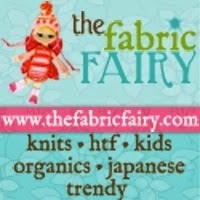 What fabric are using for the centers? It's so cute! I love hexies! Maybe this will be inspiration to make my own stash! I love the idea of a slow moving project that is perfect for travel. I also love Hexies. 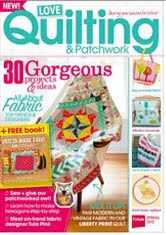 Several years ago I discovered "Quilt Patis". They are plastic hexagons that can be used over and over again. You don't have to be constantly remaking the paper pieces. I also discovered a tutorial on Pinterest on how to cut the fabrics into hexagons by cutting strips the width needed and then folding them in half and cutting them on an angle all the time using a rotary cutter. You can cut hundreds in a very short period of time. 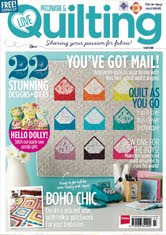 I don't know much about quilting or anything, but would love to learn this. What I don't understand is how you get the paper out once you put your thread through it? Also why fold it over and sew thru it if you are just going to sew them together, couldn't you just cut it to that size? I just started doing hexi's and I'm addicted! I was just going to do this little piece in a bigger quilt. I finished that and now I don't know what to do since I don't have it to carry around with me and work on anymore! Love the paperclip idea! Much easier than chasing a straight pin around the car! Thanks. 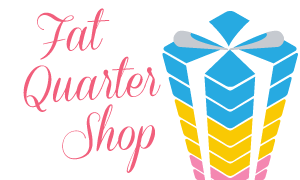 I love, love, love your quilt and your site. It is so much work to keep one up so I appreciate it but girl you gotta quit sewing to the paper. I 've been making hexie for 6 years and still love them. I have my girls making them with me now and they still pin the paper to the fabric but I just hold them together now but I taught them to take a second pass with your thread on each fold to lock in the stitch, that way it isn't coming unfolded as you move around your hexie, takes much less time and when you have a couple of rows sowed together you can just pull your papers out, no time lost cutting threads. I don't remember if I learned it that way or if I taught it myself but I will be teaching them the paper clip thing as well as using it myself. I'm currently working on a throw I designed while I was sick last week with tonsillitis called 'Poinsettia Garden' for Christmas (2014 probably). It is a mass of reds with gold centers and variegated green leaves in the top portion, not separated except by bits of 'snow' or 'leaves' until the background of snow above and below, with stems coming down. Think I'll do half-color blocks like flying geese for the stems to avoid the hexie look for the stems. I have red swiss dot for some of the poinsettias so it looks like snow and some red batiks that look like Christmas lights on them so I'm going with the Christmas light reflection. If I can accomplish it, will be my first art quilt--which I never thought I would do, usually my execution is not as good as my vision so we'll see. I have arranged some hexies I made up quickly and then took pictures with my phone. Looking at it as from a distance I could readily see what actually wouldn't work with this quilt so could stop wasting my time on those colors. Works great to visualize a concept. 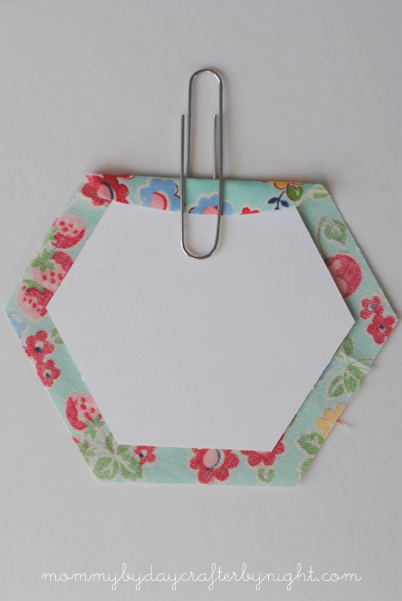 Your hexies are beautiful but you would find it a lot quicker if you use a fabric glue pen to hold the fabric down on the papers rather than tacking them. The papers are easy to remove and the glue does not leave a residue. Really recommend it. some time you should try glue stick to "baste" your hexies, so much faster and you can pop the papers right out once your hexies are stitched together. 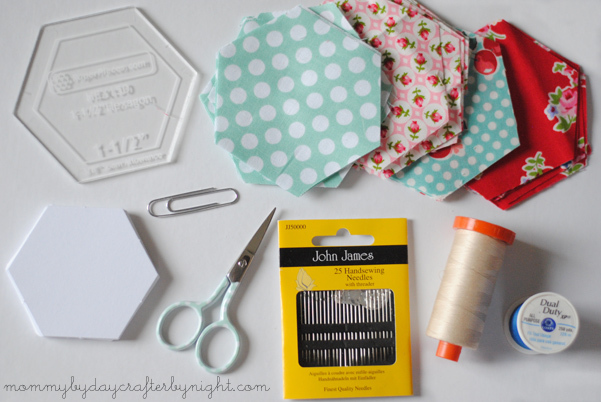 I love to make hexies to, I would NEVER use glue stick on my fabric, but I don't baste them that way. I do it on the wrong side and leave it in place as it doesn't show on the right side. Much less work at the end and it is more secure. Any idea at all how much material I should buy? It is so hard to answer that question.. It totally depends on the size of your hexies, the size project you are making, etc. 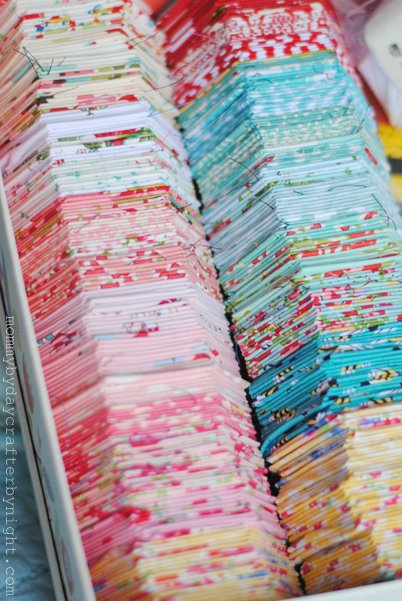 I just buy 1/4 yard cuts of several fabrics so I have a variety. You can always add fabric as you go that way. Hope this helps!